I don’t usually focus on “Grammar Rules” in my editing tips, but when it comes to commas we’ve got a handy little punctuation item that spans the border between rule and style – and it’s important to understand the difference between the two. If you don’t need it, don’t use it. Drop one where you would naturally take a breath. 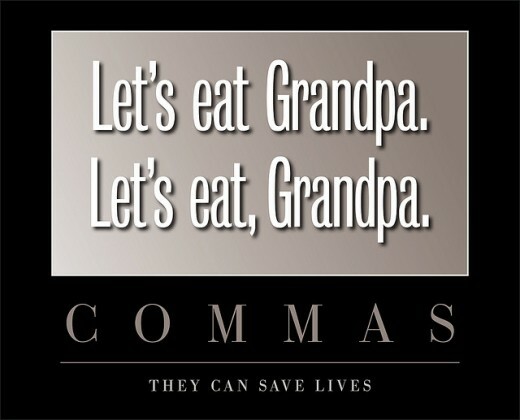 Place one between clauses, always (The Oxford Comma among others). When do we absolutely need to use a comma? The answer… when without one, what we’ve written doesn’t make sense. I went to the store and ate breakfast. I went to the store, and ate breakfast. Both sentences above are grammatically correct, but the necessity for whether or not you use a comma lies in the intent of your meaning. You’ll notice that I used a comma in the sentence above. I personally chose to use one there. The clause (as highlighted by the use of the word “but” – a conjunction) I use is actually a whole other sentence: the necessity for whether or not you use a comma lies in the intent of your meaning. I could have chosen to separate these two ideas with a period or a semi-colon and that tells you right there that if other punctuation could be used then a comma helps connect the two ideas but continues to differentiate the separateness of each statement. I ate breakfast because I could. Why did I leave it out this time? Why is okay to leave it out here and not in the example above? Because it’s short… and we’ve come to recognize certain conjunctive words as representations in-and-of-themselves as invisible commas: but, because, although, etc. However, if you’re looking at style in your written narrative, you can use the commas in this sentence or not. I’m specifically separating out my “aside” thought of if you’re looking at style in your written narrative even though I don’t have to. I want a pause and I want to clarify or modify my main sentence. If you’re modifying then you need a comma. However you use the comma make sure it makes sense. In this instance the word however is not being used as a modifier but as meaning “to whatever extent.” Check out the Grammar Girl website for more details on this word and many other words and uses of punctuation. So, if you decide not to put a comma in and your professional editor does, consider what it is you’re trying to say and whether or not it’s coming across with the right intent.